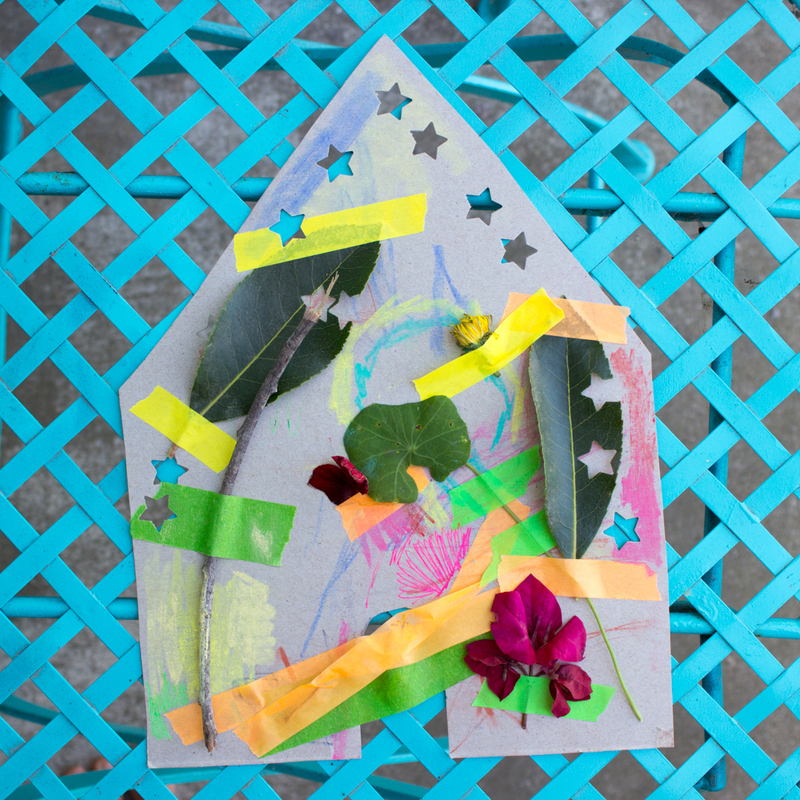 This fairy house craft is super, super easy. I wasn't sure if I even needed to write up this post, but the craft was fun and the photos were clear, so here it is! The night before, cut out your houses from cereal box cardboard. Once you've got your items, encourage them to tape, glue, color, and punch! 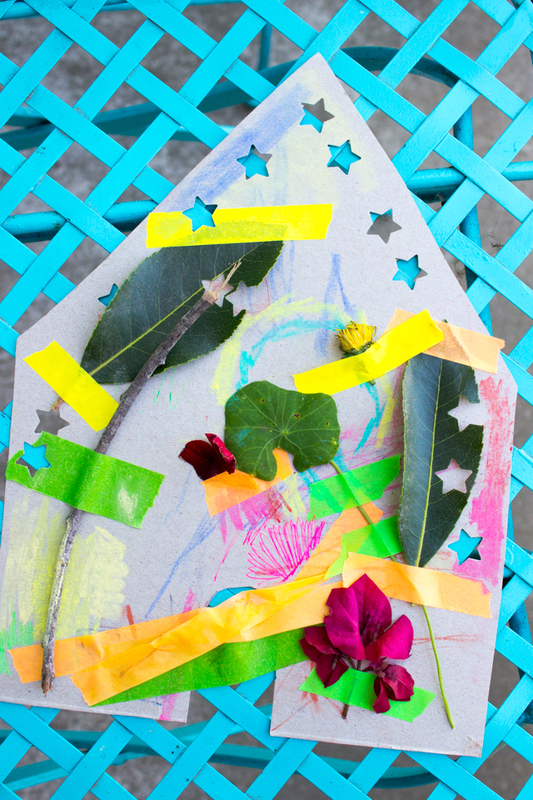 The process of decorating a fairy house is so fun, you'll want to get involved too! Hope you have fun making these sweet houses with your kids too.